On a list of the most beloved Nintendo games, the Star Fox series wouldn’t rank as high as, say Super Mario Brothers or The Legend Of Zelda. Still, the idea of an anthropomorphic fox flying a spaceship and taking part in dramatic dogfights against pigs, monkeys, and wolves is so delightfully perfect for Nintendo that you’re never going to see something quite like it on any other gaming system. Plus, the animals talk and wear clothes, just like people! We take back what we just said, Star Fox is the best. Anyway, after quite a lot of hype and teasing, Nintendo finally announced a new Star Fox game for the Wii U at its E3 event. The game is officially titled Star Fox Zero, and it’s not quite a sequel or a reboot, but is instead more of a reimagining of the original Super Nintendo Star Fox and Star Fox 64. The big hook this time is that most of the action will be displayed on your TV—like, you know, how most video games do it—but the second screen on the Wii U GamePad will act as a cockpit view for more precise aiming. 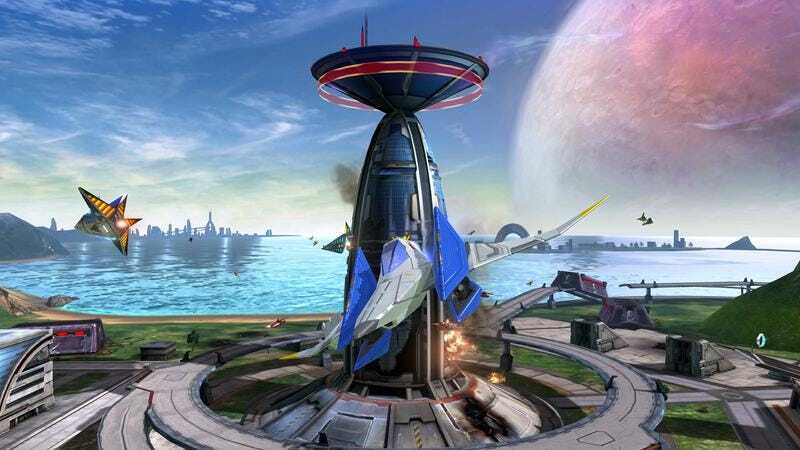 Also, you’ll be able to fly three different vehicles, each with a special alternate mode—the traditional Star Fox ship (the Arwing) transforms into a chicken mech, the classic Star Fox tank transforms into a crummy thing that flies, and a new helicopter can hover in place while you drop out in a little pod. Star Fox Zero is being developed by Nintendo and Platinum Games (the studio behind Bayonetta, Vanquish, and Metal Gear Rising), and it’s set to be in stores this winter. You can see the trailer for Star Fox Zero below, but make sure you watch this hilariously bizarre video of Nintendo’s Satoru Iwata, Shigeru Miyamoto, and Reggie Fils-Aime introducing the game as puppets.